We at Retire Early Lifestyle like to share with you the stories of Captivating Characters. Below you will find another success story of a journey to financial independence and personal satisfaction. 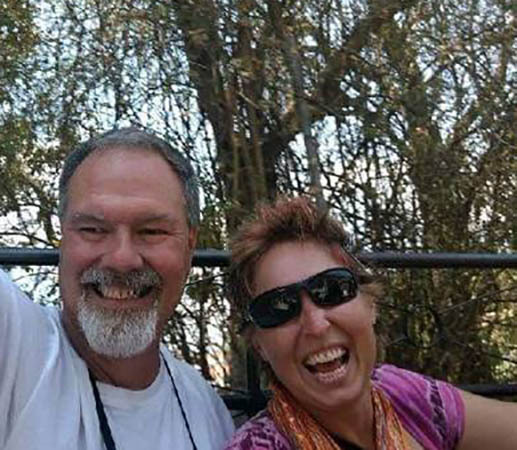 Enjoy our interview with Jim and Kathy McLeod! 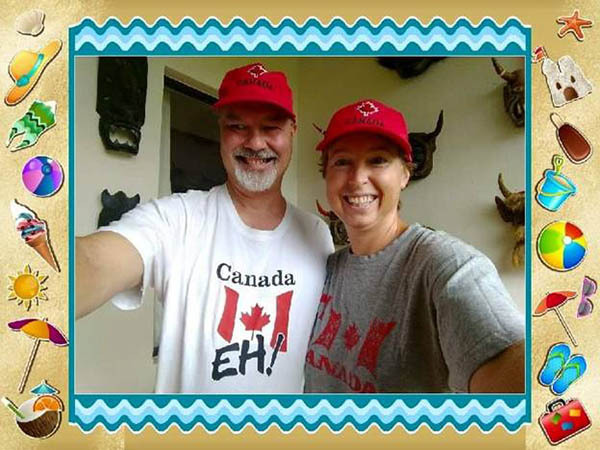 Jim and Kathy McLeod: We are Canadians from a small town in the Ottawa Valley in Ontario. Jim will be 55 this year and Kathy will be 41. We'll be married 20 years this June, and due to a number of health issues, we were unable to have children. So whenever we assess something and ask the question, "can we afford to do this? ", we always ask, "can we afford not to do this?" G'day, g'day, we’re from the valley, eh! JKMcL: When we made the decision to retire, we finally took a look at our company's group Registered Retirement Savings Plan and were shocked at how much we had lost to fees *and* how poorly they had performed! JKMcL: "Freedom 55" was always in the back of our minds, but at 50 Jim was getting burnt out in the high stress field of Internet Security. One day Jim quipped he wanted to retire early and Kathy told him to "Google it". The first result to appear was The Adventurer's Guide to Early Retirement and, as they say, the rest is history! 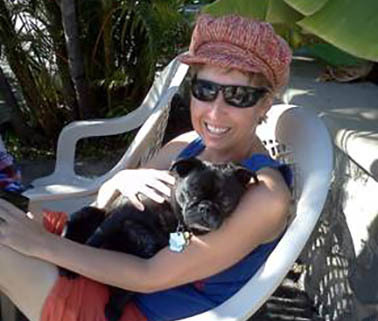 With our pug Bogie, who couldn't fly, we needed to go somewhere that we could drive to from Ontario, so a year later we semi-retired and decided to check out the Lake Chapala area mentioned in your book and after two "snowbird" seasons we retired permanently, "sold the farm" and moved here. JKMcL: Investing in the stock market. JKMcL: We budget $16K Canadian per year for everything except travel. Anything we make over that, we allow towards our travel budget. With our target of making $30K Canadian per year, we've gotten to travel quite extensively so far. JKMcL: After a disastrous start with "managing" our own investments, Jim decided to take a hands on approach by taking an intensive, week long Value Investing course offered once a year by the Ben Graham Centre for Value Investing. By utilizing and further developing the skills he learned, we value certain (mostly Canadian) stocks and buy when they fall below our value criteria and then sell when they reach a (very conservative) profit. So far, we only need to invest a relatively small portion of our total savings, with our returns far exceeding our target and our expectations. JKMcL: Greatest challenge: Getting out of the workforce! Because of Jim's skill in Internet Security and Internal Auditing of Quality Management and Information Security systems, it took a while before he finally said sorry (because he's Canadian) but no more. Biggest lesson: Learn to manage your own investments! Investment managers get their fees whether they make you money or not! 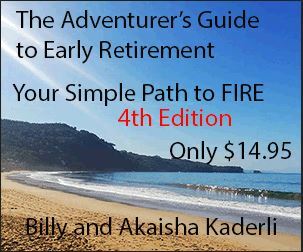 JKMcL: If The Adventurer's Guide to Early Retirement resonates with you, and running the numbers add up, just do it! JKMcL: Break the mold and get out there and try it. Most places will give you a discount the longer you stay. 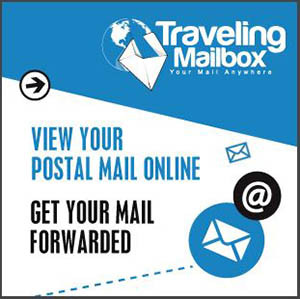 Save up your vacation days and/or take a sabbatical and book an extended stay somewhere that intrigues you. 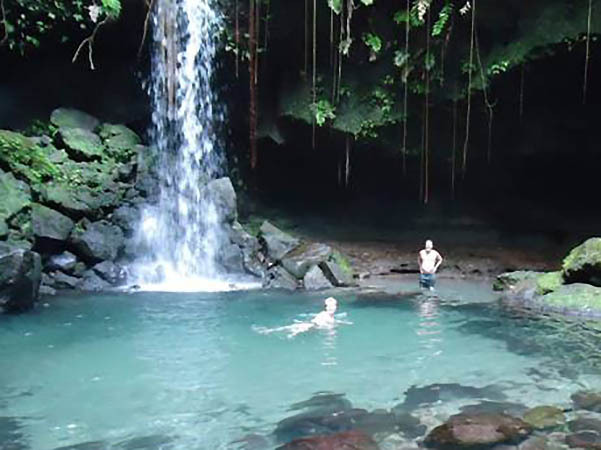 We did this for two months in Dominica and we were hooked! JKMcL: We both enjoy helping others: Jim's a troubleshooter and Kathy can connect with anyone. So Jim can help resolve a lot of technical issues and Kathy helps people at a personal level. 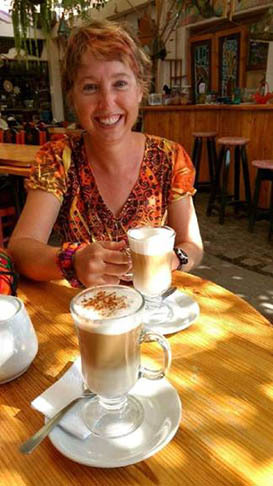 JKMcL: We are both currently learning Spanish through a combination of programs such as Duolingo and Memrise, YouTube videos such as Spanish with Paul and just practicing with as many locals, whom we meet during our travels, as possible. JKMcL: Since we are now residents of Mexico, we enrolled in Seguro Popular as insurance for anything serious, otherwise we just pay out of pocket. JKMcL: Cafe mochas. :-) Yummy. REL: Have you had a brush with fame, the proverbial '15 minutes'? Tell us about it. JKMcL: Not yet but, as we expand our horizons, it's inevitable. JKMcL: Learning! A new language, (value) investing or history and geography of a new area. There's always something to keep us challenged and engaged. JKMcL: We have a "home base" in the Lake Chapala area that allows us storage facilities in the event we decide to take off somewhere for an extended period of time. JKMcL: Considering both of our backgrounds, neither of us expected to ever leave our hometowns, and yet here we are traveling the world as early retirees! We've both worked extremely hard to get to this point in our lives and can say without a doubt that we’ve earned it. JKMcL: Geocaching. 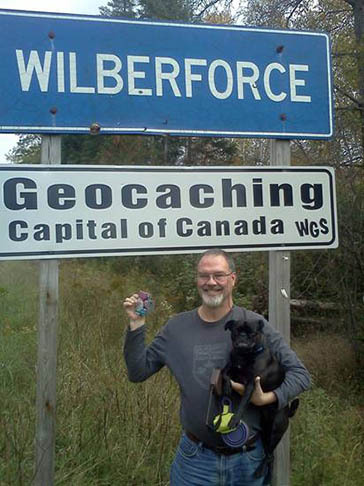 Whenever we get to a new area, we check to see what geocaches are there. This way we get out to explore places we may not have even known about. 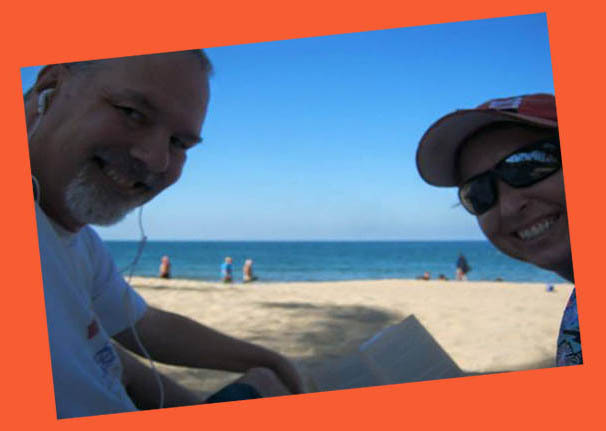 JKMcL: On a beach, reading a book. Or on a trail searching for a geocache. 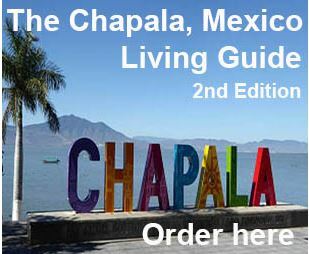 JKMcL: We're actually in the middle of a 4 week stay in Los Ayala, Nayarit with no definite plans after that. El Salvador, Ecuador, Nicaragua, or within Mexico to Zihuatanejo, Puerto Escondido or possibly a beach house over the water in Bacalar. 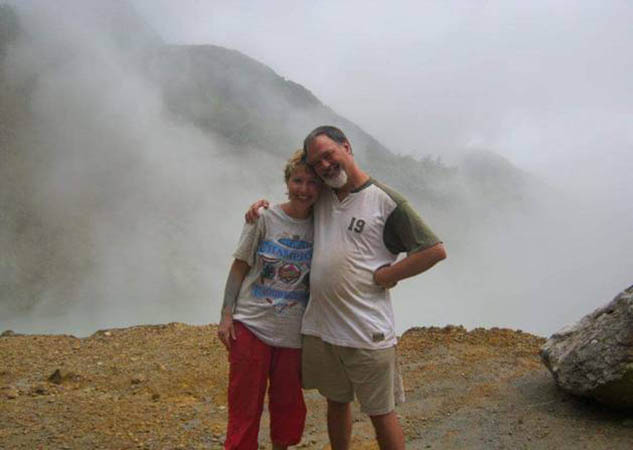 We at RetireEarlyLifestyle would like to say thank you to Jim and Kathy for taking the time to answer our questions about their journey to financial independence. This was a fun and informative interview, and we look forward to seeing you both again on this road less traveled!